Ezt a terméket eddig 542 alkalommal vásárolták meg! The Poppers Super Rush contains pentyl nitrit which is more aromatick than any other rush on the market. 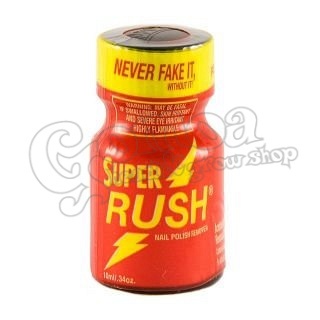 Super Rush Poppers are definitely a bit of a step up from the Original Rush poppers. The duration of the effects are a bit longer on this one than the original Rush poppers.